The aim of the presented work is to contribute to the field of the supply chain design that spans multiple organizations. It is based on a methodological approach that outlines two main results: a conceptual model and an operational one. These two models take into account the different characteristics and mechanisms of the supply chain. The conceptual level is based on four views: product, organizational, functional and informational. At this level, a meta-model that contains the basic generic concepts of the supply chain is proposed. The operational level uses the agent paradigm to model the different actors of the supply chain and the relationships between them. According to the characteristics of supply chains, a negotiation protocol between the different agents is presented. Simulations prove that the presented negotiation protocol can increase the efficiency and successful cooperation ratio for supply chain negotiation. It has been widely recognized that today’s supply chains are a lot more complex than those in the past. This recognition has prompted calls for supply chains to be identified and be studied as complex adaptive systems to make them more relevant to the needs of the modern-day, real-world supply chain (Yee et al., 2015). The engineering of the supply chain is stilling overly tedious and is in particular intrinsically harder than that of applications targeted at a deployment on a single host. Modeling and managing supply chains that span multiple organizations involve new challenges, mainly regarding the ability to cope with changes on the wide variety of languages and technologies which are heterogeneous and in permanent evolution. A company’s success lies on its ability to integrate managerial processes of the supply chain but also to coordinate with other actors (Tounsi et al., 2009). The domain of supply chain management raises numerous conceptual and architectural challenges. Because of its complexity, the development of supply chain simulation implies a heavy workload. Many problems have arisen with the dynamic interactions of the supply chain, such as the increased costs of production and storage, bullweep effect and the complexity of information flows. Consequently, techniques and methods to model coordination mechanisms are very useful. The pertinence and the behaviour of such models can be evaluated either by analytical or by simulation approaches. In fact most research works (Longo and Mirabelli, 2008; Lee and Kim, 2008; Jiyu et al., 2012; Camara et al., 2012; Kamalendu et al., 2014) concern the supply chain modeling and methods for improving performance to the supply chain. However, most of them use particular models related to specific industrial problems and address directly the implementation phase. Nowadays, in the domain of the supply chain management, performing experimentations through agent based systems is a fashionable topic. Scientists and practitioners have performed simulations to test, for instance, problems related to dynamic scheduling, planning and scheduling integration problems (Moyaux et al., 2008), supply chain coordination problems (Brahimi et al., 2009), and supply chain dynamics problems (Long and Zhan, 2014), among several other options. The agent paradigm is probably the most suitable technology to deal with decision making strategies in such environments, because they permit an easy combination of various artificial intelligence techniques. 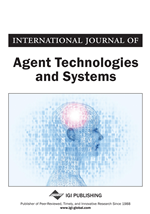 Moreover, agents are exploited for the design and/or the simulation of complex systems, as autonomous entities that are able to perform their functions without the need for continuous interaction from the user. In this paper, we propose to combine a multi-view model with the agent paradigm for designing the supply chain, using a generic methodological approach. Our choice is justified, on the one hand, by the lack of analytical models to model the overall supply chain with all its complexity and on the other hand, by the power of agent paradigm to manage the behaviours of the supply chain entities. The methodology approach proposed is divided into two steps: the first one deals with the identification and definition of the different entities and concepts in the supply chain management. For this purpose, we propose a meta-model that is based on four views (product, organizational, functional and informational). The second step presents the application of the multi-agent system to model the dynamic behaviour of a supply chain. The intelligent agents interact with one another to access, transfer, and evaluate the information of a supply chain dynamically. We propose mainly a negotiation protocol according to the characters of supply chain. Simulations prove that the presented negotiation protocol is important in order to recover the successful cooperation ratio and the efficiency for supply chain negotiation.